"the best financial planners in Sydney"
Need Financial Advice in Sydney? Quantum Financial are multi award winning independent financial planning practice based in Chatswood Sydney. ​To make an appointment with one of our award winning financial planners please contact our office. Phone 02 8084 0453 or click on the link below to visit our website. I developed my investing skills at Macquarie Bank and PwC . I was recognised as Financial Planner of the Year 2015 by Money Management; Investment Advisor of the Year 2014 and Excellence in Financial Advice 2014 by Independent Financial Advisor. I am regularly asked my views on ABC TV and in the AFR. In 2015 I joined David Koch onscreen to discuss the Federal Budget. Alan Kohler wrote of me “One of my favourite financial planners, Claire Mackay of Quantum Financial in Sydney”. I sit on ASIC’s External Advisory Panel with Peter Costello, David Gonski, Catherine Livingston and others. I am a Certified Financial Planner, Chartered Accountant, Chartered Tax Advisor and Self Managed Super Fund expert. I hold Degrees in Commerce and Law and a Master’s Degree in Law. Please contact my team for a complimentary copy our proprietary Investing Insights report on 02 8084 0453. I look forward to hearing from you. ​I work with pre-retirees and retirees looking to fund their dream retirement. Senior professionals and successful business owners who have concerns managing their family’s wealth seek financial peace of mind. They want certainty that they are making informed financial decisions. A number of successful professionals and business owners who seek my services are unhappy with the level of service they are receiving from their current advisor. They feel that their adviser is not acting in their best interests and have lost confidence in them. Clients seek independent and ethical advice, not advice that is aligned with any product provider. Many of my clients approaching retirement typically either have an SMSF or aspire to have one. I work with my clients to take away their concerns over their investment decisions, asset allocation, reducing taxes, and ensuring they will have enough to support their dream lifestyle through retirement. Our clients trust us to do the right thing by them. In our first meeting we determine whether we can provide value. If not, we will honestly tell you so. We devise a plan and establish the right structures in place to ensure that should something happen to them, their family’s wealth is distributed the way they want. Family owned, Quantum Financial is the most awarded financial planning practice in Australia. I am co-principal in the business with two of Australia’s best financial planners – my sister Claire Mackay and my father Bill Mackay. I developed my investing skills at Deutsche Bank and UBS in London and New York. I was awarded SMSF Adviser of the Year 2014 by Independent Financial Adviser and the national SMSF Best Practice Award 2014. In 2012 I was awarded the Excellence in Business Ethics award by the NSW Business Chamber. I am regularly asked my views on ABC TV and in the AFR. Visit our website for views on Quantum Financial’s approach to financial planning and SMSF advice from ABC TVs & Eureka Report’s Alan Kohler, Fairfax’s Adele Ferguson and other respected finance experts. ​John's background is about as financial as you can get. He studied a Bachelor of Business, majoring in Accounting and Finance and while he was a student he tutored maths and worked as a book keeper. He also worked for Vintage Cellars, assisting with sales and it was here that he developed an appreciation of fine wine, but that’s another story entirely! His clients say it is his honesty, pragmatism and the fundamental desire to get things done that sets him apart from others in his field, while his peers cite trustworthiness, clear strategic thinking and a thoroughness that goes above and beyond expectations. It is these qualities that equip John for the role of Eqeus Managing Director, where he leads an innovative, yet grounded, team of financial professionals committed to offering a fresh approach to financial planning. Developing close relationships with his clients, who include young adults accumulating wealth and those in their middle years consolidating and planning retirement, is an area that he continues to enjoy. John says that amongst his strongest skills are his ability to analyse then communicate complex matters through practical roll-out strategies, a proficiency that he intends to nurture within Eqeus’ strategic and original thinking. John understands that regardless of stage of life, his clients have aspirations and goals that often need a coach and mentor to bring to fruition. While researching, planning and providing a tailored financial strategy are among his technical skillset, it is close listening, understanding and interpretation of needs where John excels to define personal goals and financial planning objectives aimed at helping his clients achieve their personal vision. After graduating university, John worked as an accountant, moved on to become a paraplanner with a major financial services group, stepped up to financial planner, moved into the role of business development manager with a major property developer before settling in to his role at RK Financial Planning, which proceeded his Eqeus evolution. His success also has a lot to do with life experiences. At 17 years of age, John’s family home was gutted during the Sydney bushfires. Everything he owned, and everything his parents had worked for, was destroyed. It was a life changing event and John says that as an introverted and quiet young man it brought a realisation that life is to be lived and material things are just that. Importantly, he learned that planning for the unexpected and having a financial plan that is flexible and able to adapt to your changing life circumstances is essential for establishing the support necessary for financial and emotional recovery. It was perhaps this personal experience that paved the way for John’s career in financial planning - a role which allows him to help clients to organise, understand, anticipate risk and make the most of their financial affairs for now and in the future. Away from the office, John’s most important job is being a father to his children Ryan and Mackenzie. While these days a couple of nagging injuries see him more on the sideline than on the field he has enjoyed his share of accolades since he began playing hockey at the age of seven. John played 1st Grade for more than 10 years and scored a couple of Best & Fairest awards including Best Player in a Grand Final and the University Blue Sporting Award from UTS. He has been a good club man too - Treasurer for a few seasons and now a coach - roles that match his innate sense of team work and mentoring. Since completing his accounting studies, Darren has been in the financial planning industry in an advisory capacity since 1997. Darren has achieved industry recognition during this time, including being judged first in the AFR Smart Investor Master Class for Financial Planning 2010 and following that up with by being in the top 50 advisers nationwide for the 2011 Master Class. Darren is dedicated to his role, where he loves working with our valued clients to achieve their goals, create wealth and increase their security. He is the NSW State Representative for the Technical Committee within the Shadforth Financial Group. Darren is a CERTIFIED FINANCIAL PLANNER® practitioner and is a member of the Financial Planning Association of Australia. Darren is also an accredited martial arts instructor with Northstar Martial Arts, where he has achieved his 2nd Dan Black Belt. Darren is very happily married to Betty, and they live on Sydney’s lower north shore. The financial decisions you make today will determine the life you live tomorrow. My goal is to help you build the complete program you need to maximise your earning potential during your working years, so you can enjoy your life now and know that tomorrow has been taken care of. My 360 Review Approach is a structured review I developed to help clients get the most out of their financial decisions by comparing options and recommending the best course of action. I research advice scenarios based on 7 key foundations to wealth: cash flow, tax, debt, investments, superannuation, insurance and government entitlements. I will then create a program that includes a combination of strategies which are optimised to suit your unique situation and financial goals. You can be confident that my constant monitoring of these 7 foundations ensures your program is always working its hardest for you. As a CERTIFIED FINANCIAL PLANNER® practitioner with more than 10 years experience, I can help you make informed decisions and empower you to achieve the lifestyle you desire. My clients have entrusted their long term financial well being in my care so they can focus on what they do best. Martin joined Jacoby Cameron & Co as an undergraduate in 1998 and qualified as a Chartered Accountant in 2001. Since that time Martin has been involved with the Institute of Chartered Accountants post-graduate Chartered Accountants program as a workshop leader, exam paper author, technical adviser and marker. Martin is also a CERTIFIED FINANCIAL PLANNER® practitioner (widely regarded as the premier designation for Financial Planners in Australia) and an Authorised Representative of Count Financial Limited. Martin became a partner on 1 July 2007. Whilst Martin has experience across such diverse areas as accounting, audit and tax he is also responsible for our financial planning division. In 2010 he was recognised by AFR Smartinvestor magazine as one of Australia’s top 50 financial planners. Martin’s interests outside of work include swimming, water polo, sail boarding and sport in general. 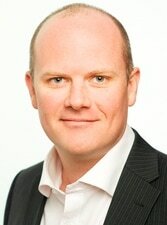 Craig Wilford is Partner of the Financial Services division at Nexia Sydney. 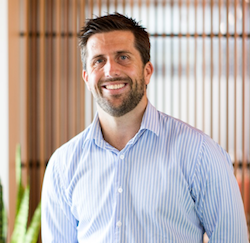 Craig has had over 20 years experience as an authorised financial planner, both here in Australia as well as the UK. 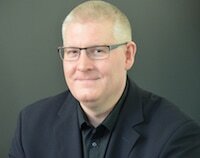 Craig has been providing holistic advisory services for clients of Nexia Australia since 2003. His focus is on providing wealth accumulation and retirement planning advice for individuals, executives and small to medium-sized business owners. Given his international experience, Craig also assists those clients with cross jurisdictional issues, whether as expatriates or as non-residents relocating to Australia. A member of Nexia Sydney’s internal research committee, Craig not only identifies potential new investment opportunities but also any existing investments that could be under-performing and therefore a threat to his client’s financial objectives. Craig believes his clients should be well informed and regularly conducts in-house seminars for new and existing clients on such topics as retirement income strategies, alternative investment strategies and briefings on the current financial environment. Craig has been accredited in the AFR Smart Investor Top 50 Financial Planners Masterclass for 2008, 2009, 2010 and for 2011. Nexia Financial Solutions operates on a fee for service basis, providing the right environment to ensure Craig is able to customise his strategies, financial solutions and exercise his experienced advice to suit each individual client’s situation, requirements and circumstances. Committed to delivering the best possible level of service, Craig’s broad spectrum of loyal clients and on-going business referrals is a direct reflection of his expert advice and strategies. Craig is an Authorised Financial Planning Representative. He holds a Bachelor of Business (Banking and Finance), a Master of Taxation, CERTIFIED FINANCIAL PLANNER® Designation and a Diploma of Financial Planning (Australia). He also holds the equivalent Financial Planning qualification from the UK; the Advanced Certificate of Financial Planning (UK). James Gerrard is a CERTIFIED FINANCIAL PLANNER® professional having practiced within the industry since 2001. He currently sits on a Board Committee for the Financial Planning Association of Australia, has won industry awards and has been recognised by the Australian Financial Review’s Smart Investor magazine as a top 50 Financial Planner in Australia in 2010. He has expertise as a financial advisor in the areas of wealth accumulation strategies, tax planning, retirement planning, expatriate advice, risk protection, estate planning, direct equities and gearing strategies. James operates his Sydney financial advice practice within PSK Financial Services who are a prestigious Sydney based financial services practice which has been in operation for over 30 years. PSK Financial Services are licenced through Charter Financial Planning and PSK financial advisers manage in excess of $1 billion dollars in assets for clients through a wide range of investments and administration platforms. Choosing the right financial planner is one of the most important decisions that you will make in life. The difference in financial benefits could be substantial and the peace of mind priceless. Fergus is a CERTIFIED FINANCIAL PLANNER® practitioner and has been providing advice for over sixteen years to clients and helping them to understand their financial plans and achieve their objectives. Fergus has a strong technical back-ground, specialising in superannuation strategies, and specifically government and semi-government superannuation schemes, Fergus also provides holistic Financial Planning and Wealth Management advice and services. In addition Fergus strongly believes in building investment portfolios designed to help clients achieve their objectives with as much certainty as possible and with an emphasis on RISK MANAGEMENT. Fergus is a member of the IFAAA [Independent Financial Advisers Association of Australia] and as such meets the IFAAA Gold Standard of Independence™ and also a member of a non-profit Adviser Association [AGBA] that aims to help advisers to implement Goals Based advice including investment portfolios in their practices. 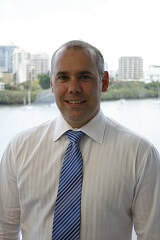 Fergus completed his degree in business at the University of Queensland and the Diploma of Financial Planning and Certified Financial Planner through Deakin University. Fergus loves the idea of helping people determine what their goals are, and then helping them to achieve them. He enjoys the ongoing relationship with clients, and most importantly the trust that is given by his clients. In 2007, Fergus was admitted to the Australian Financial Review MASTERCLASS FOR FINANCIAL PLANNING [TOP 50 Honour Roll]. Fergus is a father of three wonderful children, of whom he is very proud.